Specifically designed for the engineer, M3 tablet is a powerful solution for points cloud analysis and automatic extraction of dimensional information for the manufacturing management. It facilitates the access to the information anywhere and anytime. M3 tablet implements the concept of On-Demand digital metrology. Work online or download the point clouds and work offline. M3 tablet facilitates the access to the information from any location inside or outside the factory. M3 works with 2 and 3 dimensional geometries extraction, constructed geometries, measurement geometries and geometric dimensioning and tolerancing (GD&T). 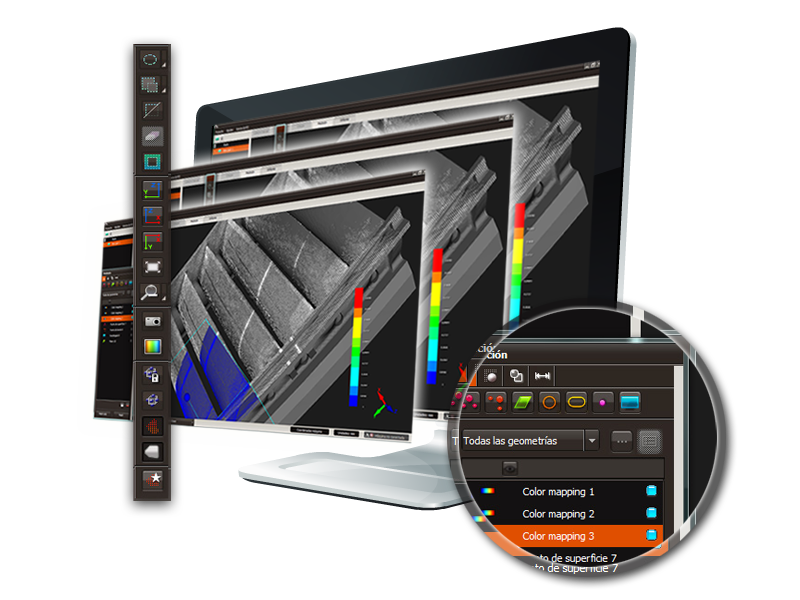 Use the M3 assistants to automate the entire inspection process without any operator intervention. Reduce time and costs of your measurement processes. M3 tablet allows you to obtain the actual values and the nominal values of a part without having the CAD model to make the measurement. Obtain customized reports and statistics of your measurement processes. You also can compare your CAD file with the points cloud: Automatic ColorMapping with CAD.